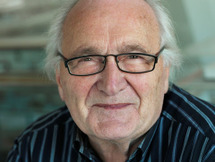 Herman Hertzberger was born in Amsterdam (July 6th, 1932). 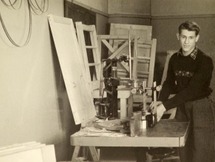 In 1958, after completing his studies at the Technical University in Delft, he returned to Amsterdam to set up a private practice. 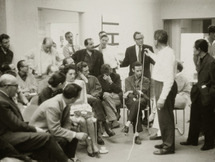 From 1965 to 1970, he taught at the Academy of Architecture in Amsterdam and since 1970 has been a.. In the 1950s the supremacy of the Modernist model of the functional city had started to be criticised and certain designers looked to the patterns and human associations of the traditional city and archetypal forms of other cultures such as the North African Kasbah. 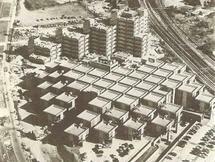 The Dutch architect Herman..
George Chakhava was the Minister of highway construction in the 1970s. Therefore, he was both the client and the lead architect of this project. There is a rumor that the design was copied from a proposal by the Czech architect Karel Prager for an unrealised building in Prague. It was designed for three media companies: a newspaper printing plant, a radio station and a television studio. 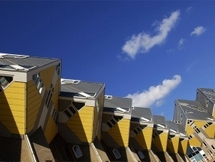 To allow for future expansion Tange..
Kubuswoningen, or cube houses, are a set of innovative houses built in Rotterdam and Helmond in The Netherlands, designed by architect Piet Blom and based on the concept of "living as an urban roof": high density housing with sufficient space on the ground level. Blom tilted the cube of a..
Piet Blom (February 8, 1934, Amsterdam – June 8, 1999, Denmark) was a Dutch architect best known for his Cube House (Kubuswoningen) built in Helmond in the mid-1970s and in Rotterdam in the early 1980s. 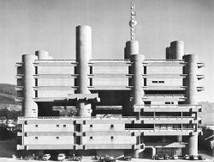 He studied at the Amsterdam Academy of Building-Arts as a student of Aldo van Eyck. Republic Square complex is the biggest project of a single architect in Ljubljana's center. 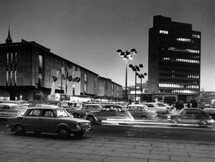 Edvard Ravnikar won first prize in 1960 competition. The original request was to make a monument memory for the revolution. 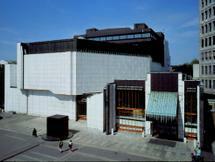 It was planned as a new Slovenian political center with a square for mass.. Team 10, referred to as Team X or Team Ten, was a group of architects and other invited participants who assembled starting in July 1953 at the 9th Congress of C.I.A.M. and created a schism within CIAM by challenging its doctrinaire approach to urbanism. They disclosed with the Manifesto Doorn,.. 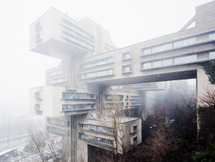 The complex represents the finest example of Slovenian Structuralism, and originates in Ravnikar's composition exercises in B - course the minor degree program at the Ljubljana School of Architecture in 1960s.